1 of 5 Heat oven to broil. 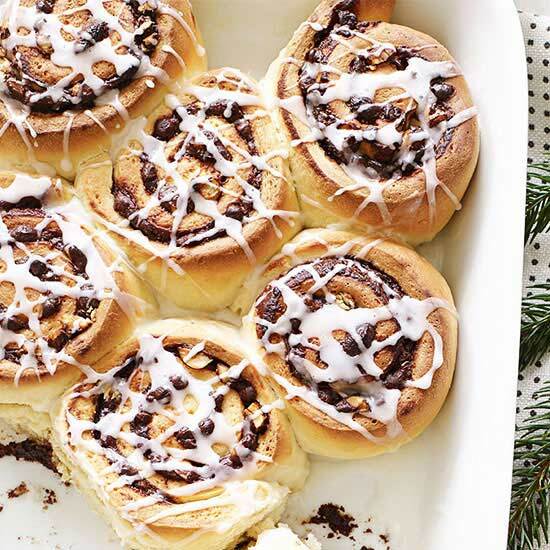 Place nonstick foil on a rimmed baking sheet and set aside. 2 of 5 Bring 1-1/4 cups water to a boil in a medium-size pot. Add 1/2 teaspoon of the salt and the couscous. Cover and cook 8 minutes, stirring occasionally; set aside. 3 of 5 Meanwhile, stir together bread crumbs and 1 tablespoon dill; set aside. 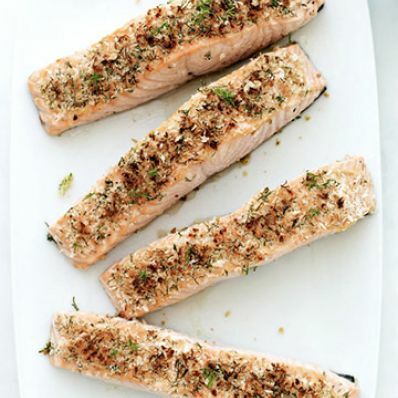 Sprinkle salmon with remaining 1/4 teaspoon salt and the pepper and place on prepared baking sheet. Place directly under broiler and cook for 5 minutes. 4 of 5 Remove salmon from oven and lower rack so its 6 inches from heating element. Brush salmon with mustard and sprinkle with bread crumb mixture, pressing to adhere. Generously spritz each fillet with nonstick cooking spray and return to oven; broil 2 minutes. 5 of 5 Stir remaining tablespoon dill, spinach and chicken broth into couscous; let sit 5 minutes. Serve with salmon. Per Serving: 318 mg sodium, 27 g pro., 31 g carb., 307 kcal cal., 2 g fiber, 1 g sat. fat, 7 g Fat, total, 63 mg chol.